A team of Oklahoma City firefighters went to investigate a truck that had been abandoned in the middle of a snowy embankment earlier this week, only to discover a lonesome puppy inside. The rescuers brought the little dog back to the fire station with them, where the puppy will be safe and warm while he waits to go home. 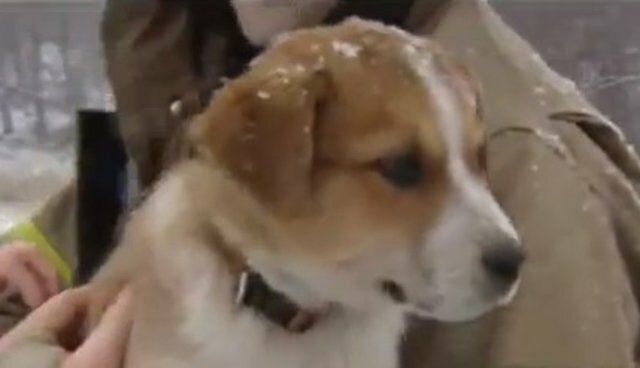 Firefighters rescued a puppy inside an abandoned vehicle during Tuesday morning's winter storm.